Photocatalysis is a promising technique for solving the worldwide energy and environmental crisis. The key challenge in this technique is to develop efficient photocatalysts that have to satisfy several criteria such as high chemical and photochemical stability as well as effective charge separation and strong light absorption. Synthesis of semiconducting nanocomposites is considered to be a promising way to achieve efficient photocatalysts. This improved photocatalytic activity of the nanocomposite photocatalysts is attributed to the enhancement of the charge separation, irradiation absorption, and photo and chemical stability. 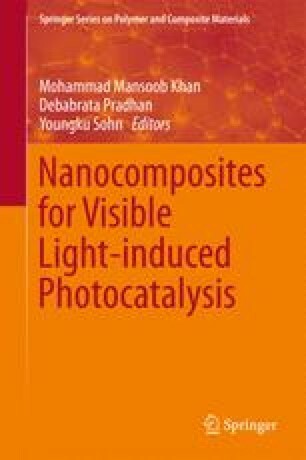 This chapter summarizes many research studies on semiconducting nanocomposites for different photocatalytic applications. Different consistencies for photocatalytic organic transformations have been discussed herein.